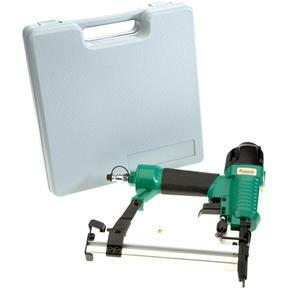 This Nail Gun/Staple Gun shoots 5/8" to 2" 18-ga. brads and 5/8" to 1-5/8" 18-ga. staples with 1/4" crown. Features a view window that tells you when to reload, bump or trigger mode, adjustable depth stop, rubberized grip and adjustable exhaust port. 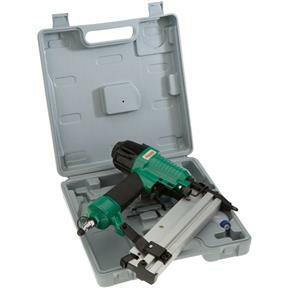 I bought this to replace the Grizzly Nailer/Stapler that I have had for 15 years. The old one broke and it was cheaper to buy a new one than fix the old one. The new one has a few features that the old one did not. The carrying case for the new one is not as nice as the old one's. 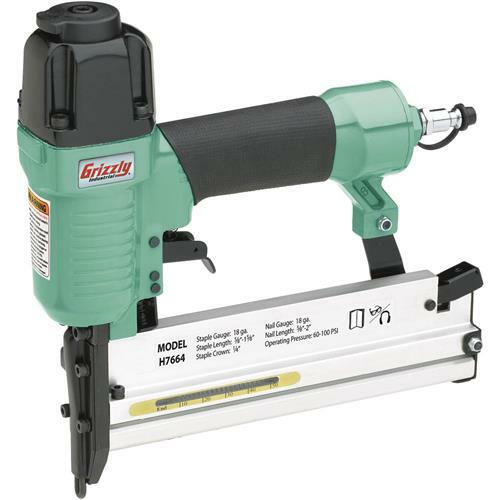 I like this tool because I do not have to own a separate nailer and stapler. I have used Grizzly tools for over twenty years and will continue to. Works great. My old one lasted 25 years. Hope this one does too. I'm very happy with my recent purchase, it works great as all my other products from Grizzly has. This is my go-to company when I go to look for something I need and they haven't disappointed me yet. 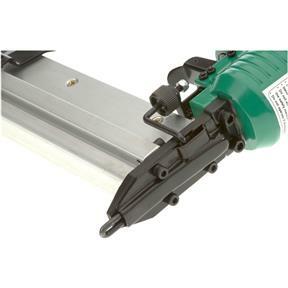 As usual, you guys sent me a high quality 18 g. brad nailer for a low price. I am working to make my 1910 house more livable. The wood in this house is the hardest I ever dealt with. My nailer drives the brads, up to 2 inches long, with ease. Thanks for the quick shipping too.